From time to time, generous people take part in fundraising events to help boost our funds. Find out more below. 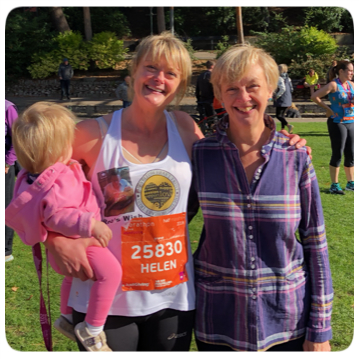 During a visit with my niece and newly-born grand-niece, Helen casually mentioned that she was thinking of getting back in trim by running the Bournemouth half marathon. Oh, and it would be on behalf of the Yellow Heart Trust and in memory of her cousin (see Rob’s Wish Fund). I was ecstatic! 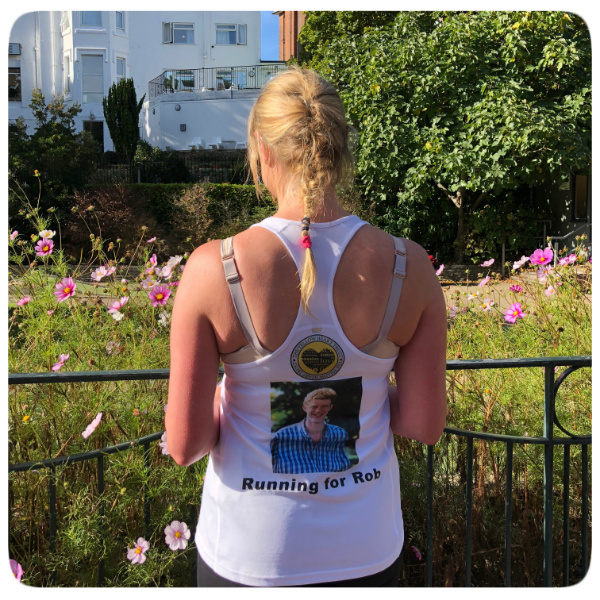 Helen’s run - including Gift Aid - has raised more than £2,600 for YHT, and her JustGiving total was in the top 3% of fundraisers for October (that’s out of 54,670 fundraisers!). It’s a tremendous feat, which will help people who would not otherwise receive therapy when they desperately need it. Thea, Helen, and a very proud Dee!